Tear or cut up tissue into small 1/2 to 1 inch pieces. 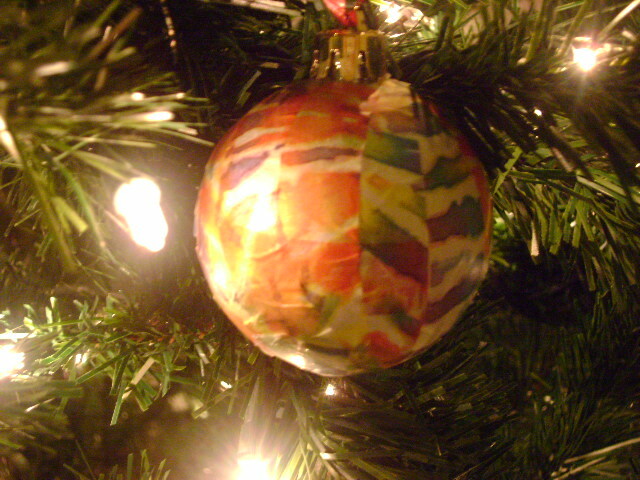 Paint a small amount of glue onto the ornament and pick up a piece of tissue with the sticky brush and paste it on. 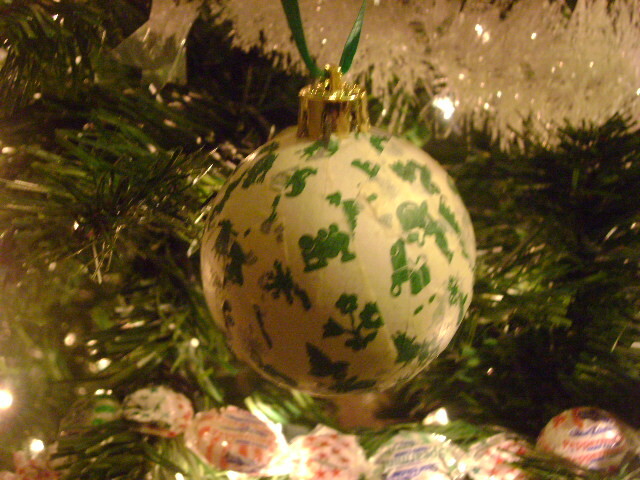 Continue to paste until ornament is covered. Allow ornament to dry in a paper cup. You can spray with a shiny acrylic coat if you want. We just left ours plain. if you use the glossy mod podge it will actually dry shiny and not have to have a clear acrylic coat. You are so smart. I need some of that…ahh…mod podge stuff. I is prettier when it’s shiny. Thanks, man.